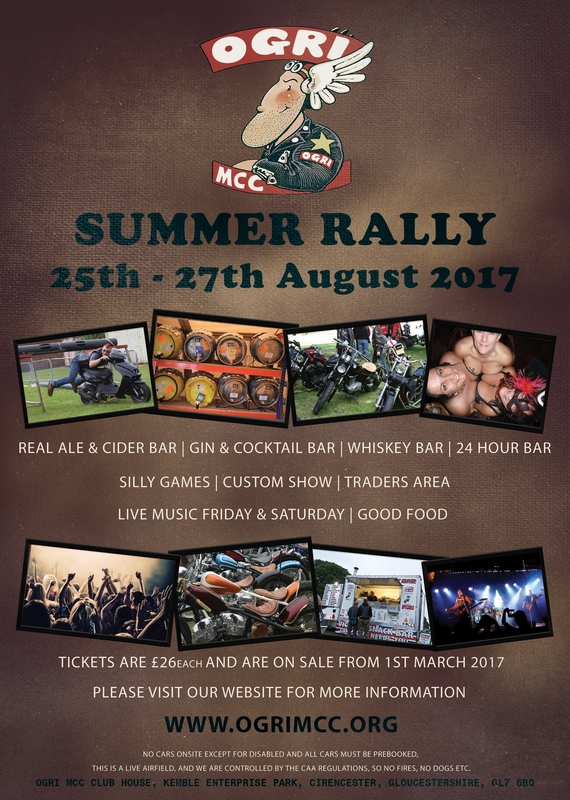 The OGRI MCC Summer Rally will take place from 12.00 hrs on the 25th August 2017 to 12.00 hrs on 27th August 2017 on Kemble Airfield, near Cirencester, Gloucestershire, GL7 6BA. If you would like to buy by cheque instead please make it payable to Ogri MCC and send to the address below. Car passes are available for disabled and some other reasons however ALL cars must be prebooked by contacting Emma on the details above. There will also be a charge in some circumstances.